A family business is defined as a business where one or more family members have significant ownership interest and commitment to the overall well-being of the business. 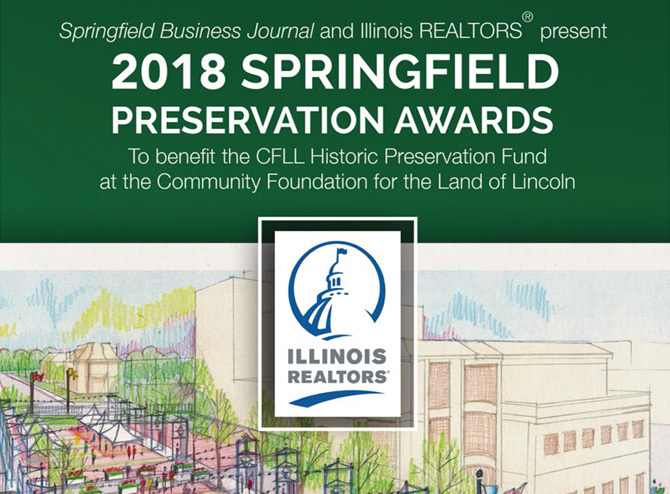 Bruce Sommer at the University of Illinois Springfield Center for Entrepreneurship and Family Businesses estimates that about 4,000 Sangamon County businesses could be categorized as family-owned. Roughly 30 percent of family businesses pass from the first to second generation, 12 percent from the second to third generation and three percent from the third to fourth generation. This article profiles a small cross-section of locally owned third and fourth generation family-owned businesses. Each has a long history in Springfield, with some dating back to the early 1900s. The Dellert family knows paint. Paul Dellert graduated from Lincoln College of Law during the depression and went to work for John Neu in his paint store at 624 East Adams St. in the early 1930s. Neu purchased the business from Otto Redeker, who started it around 1900. Paul purchased it in 1943. After his father died, his mother told him that he had to decide what he was going to do. At the time, he was running the Jacksonville store and traveling back and forth to Springfield. 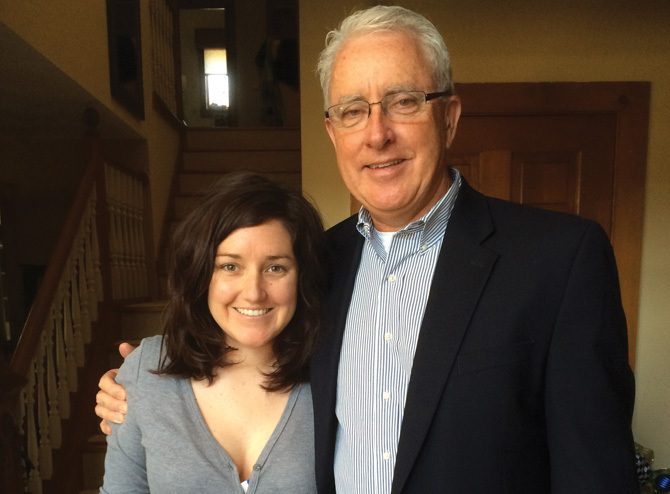 “My mom was worn down,” said Dellert. He closed the Jacksonville store and moved operations to Springfield. “Downtown was not conducive to a paint store,” said Dellert, who got out a city map and stuck pins where his customers were located. “This was the center,” he said, adding there are still customers who remember the downtown store. The business has been located at 1627 South MacArthur Blvd. since 1971. Don is passing the business down to his son, Don Dellert, Jr., who started working in the store when he was nine or 10 years old. “Business has been good,” he said. “We have a lot of loyal customers,” which he credits to their customer service. The store carries a selection of high quality paint, flooring and accessories. If it’s not in stock, they can order it. 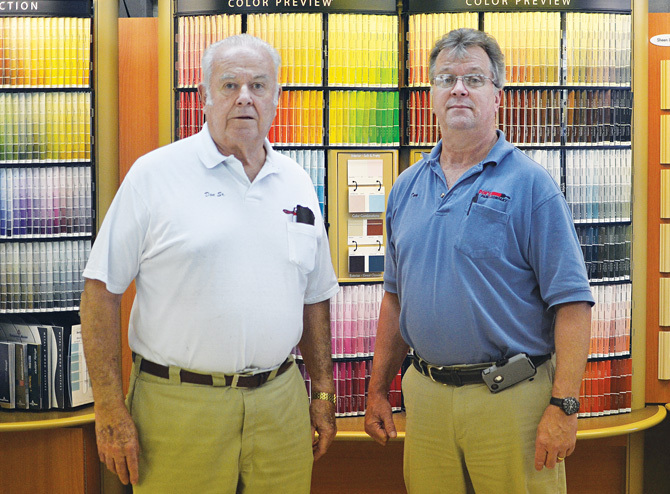 “We give our customers a premium product at a fair price,” said Dellert, and he encourages people to come and try a gallon of their paint to see the difference. He and his three-person staff are always ready to help and can answer any questions. “We know how to apply paint,” said Dellert. Elzie and Leota Humphrey moved to 1821 South 15th St. in the early 1930s. Originally there was a candy store at this location. They purchased the property from a Mr. Hershey and opened a grocery business in 1932. Elzie was a truck driver and hauled produce. “There were no retail stores,” said Hope Humphrey-Walker. According to family history, Elzie picked up a load of peaches and delivered it to a gentleman who changed his mind and said he didn’t want them because they were too ripe. Elzie took them home and Leota said she would try to sell them. As he was leaving the orchard with another load, Leota contacted him and said to bring the peaches home because she had sold all she had. Each day brings new challenges. “You have to focus on what you do well and keep doing it,” said Hope. She personally inspects the produce, and the meat counter is unique in that it sells everything from the nose to the tail. “We do our own butchering, cut our own steaks and grind our own meat,” she said. They offer lunch between 10:30 and 11 a.m. and 2 p.m.
Hope credits the business’s longevity to its location. Customers tell her they’re glad to have them in the neighborhood. Throughout the years, the family has purchased adjacent properties. “We want to keep this a good neighborhood. “We’ve been here since 1932 waiting for you,” she said. He has been working in the family business since he was 13 years old. “It’s all I ever knew,” said Dickason, whose grandparents, Charles and Ruth Madison, founded the business in 1932 at 1104 South Grand Ave. East. His grandfather was a road salesman with a fourth-grade education when he opened the business. His mother, Janet Dickason, became the manager in 1967 and ran the business until Dickason returned from the service. His sister, Debbie, works in the office and his son, Drew, and daughter, Jennifer, work part-time. “It’s all family,” said Dickason, adding he still makes his own deliveries. The furniture industry has changed. “Furniture manufacturers have gone out of business or sold out,” said Dickason, who tries to buy American products whenever possible. Business has been good. “It has its highs and lows,” said Dickason, adding retail is a tough business but they have loyal customers who count on them. “It’s steady.” He encourages people to stop by and get to know them. “We’ve been around a long time,” he said. P. H. Broughton and Sons, Inc. The Broughton family has been in the asphalt paving and excavation business for four generations. When Perry H. Broughton was 11 years old, he left home and went to work building roads. One day, while working on the old Riverton bridge, one of the horses slipped and fell over the side. He rescued the horse and the crew chief told him if he wanted it, he could have it. He purchased another horse and wagon and started the company in 1921 out of his home on Cook Street. The company purchased its first truck in the 1920s and today is recognizable by its big shiny trucks. In 1933, the family moved to Cleveland Avenue and set up operations in the backyard and continued expanding. Following World War II, the company branched out into oil and chipping roads and acquired a blacktop plant on Dorlan Avenue. It moved to its current location at 905 North Lincoln Ave. in 1956 and added a hot mix plant and portable plant. The company purchased a ready mix plant in 1964 and the Sangamon Valley Sand and Gravel Pit in 1965. In 1973, the company split into P. H. Broughton and Sons, Inc. and Sangamon Valley Sand and Gravel. Perry started working when he was 11 years old on the oil and chipping crew. “My dad taught us how to work,” he said. They would see men sitting on the side of the road every day with their lunch buckets hoping to be hired. Joshua joined the company in 2001 and is the current vice president. “I grew up working here with my dad,” he said. “I learned from the ground up,” adding he doesn’t know how to do anything else. The business employs around 50 employees, and he said business is pretty good. “Your reputation is everything. People know when we do a job, they don’t have to worry. Henry Robert, Sr. emigrated from Switzerland and worked at the Illinois Watch Company but wanted to work in the food industry. He had an entrepreneurial spirit and didn’t want to be a factory worker all his life. He frequently walked by Morris Market at 617 East Washington St. and decided to purchase the business. In 1916, he opened Robert’s Fish Company and concentrated on fresh fish and poultry. Dean “Robbie” Robert, Jr., president and owner of Robert’s Seafood, said his grandfather would keep poultry in the basement and would kill and butcher it for customers. In 1944, the company moved into a new facility at Seventh and Washington streets. “We began transitioning from general foods to frozen foods in the 1940s,” said Robert, and they became a frozen vegetable distributor for Birds Eye Vegetables. Their primary customers in the 1940s and 1950s were grocery stores. The company focused more on food service and less on the retail side beginning in the 1960s and 1970s. Hotels and restaurants accounted for 60 to 70 percent of their business. The company expanded into broad line food distribution service in 1977 and sold the line to Sysco in Lincoln in 2004 and built a new facility there in 2006. The company has evolved into a high-end seafood market and continues to operate a retail business in front of its old distribution warehouse at 1615 West Jefferson St., where it employs seven people. “It doesn’t look like a retail store,” said Robert, adding people walk in and say we thought you were a wholesale company. Their biggest seller is their fresh wild gulf shrimp. “We also have the best filet mignon in town,” said Robert. The company plans to open a second location on the southwest side. “Business has been good,” said Robert, adding that the Food Network has helped. People are developing an interest in quality food. The business is working to attract the 28- to 40-year-old age group. “We believe in quality service second to none,” said Robert. “We know the product and how to prepare it. “We won’t disappoint you,” he added.